YYen Gallup, Luca Froelich and Don Martin discussing the boat drawings. 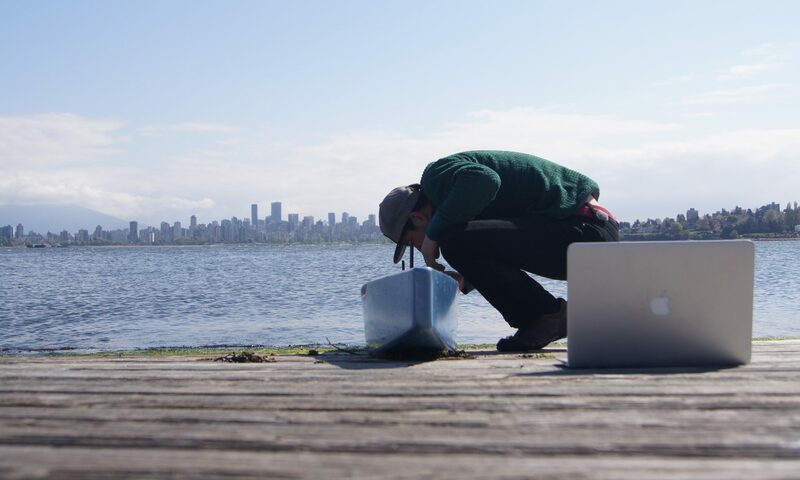 After a summer of remote planning and finalizing the design of our boat, we are finally back in Vancouver. Those of you who follow our Instagram account and newsletter may already know that we started construction last week and that we are making great progress. Stay tuned for a description of our transatlantic vessel design. The stations (our upside-down building jig) are already up. Next, we will use this jig to mount the cedar-fibreglass composite that forms the hull of the boat.